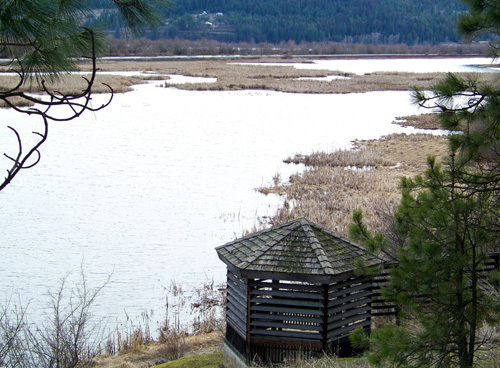 Birders who visit Harrison will enjoy the Thompson Lake Wildlife Refuge, Trail of the Coeur d'Alenes, and Heyburn State Park. Check out the links to find out what there is to see. Fish and Game map of Thompson Lake Wildlife Refuge and surroundings. 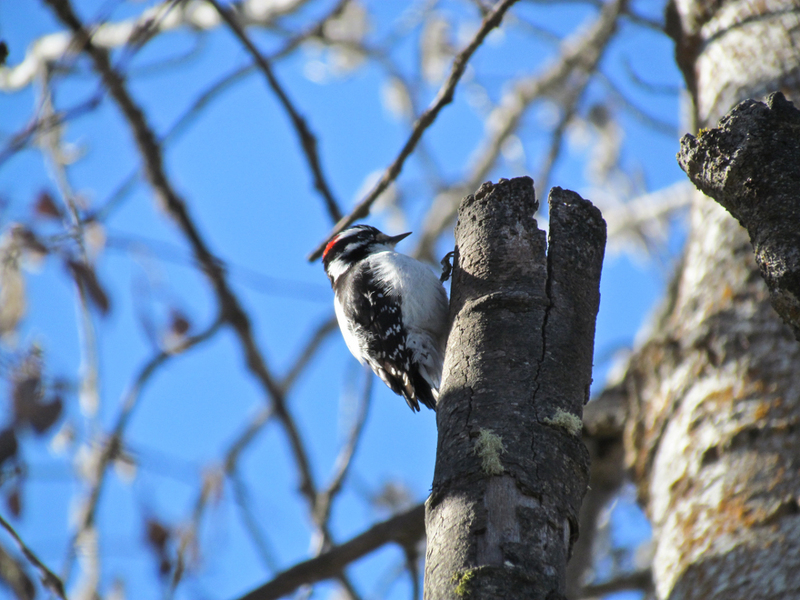 Download the Checklist of Birds along the Trail of the Coeur d'Alenes provided by the Coeur d'Alene Audubon group. Then go to All About Birds, where you can click on a recording of their songs and see if you can identify them in your surroundings. 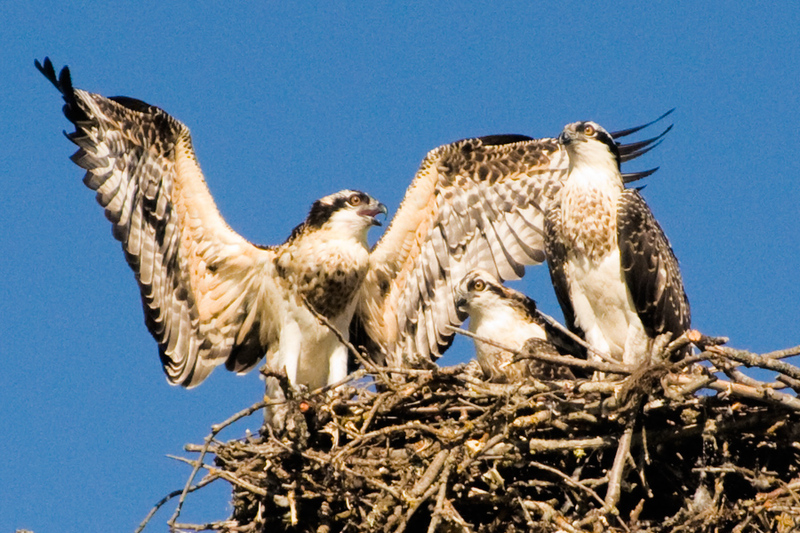 A checklist of birds in Heyburn State Park is available at park headquarters. The park is open year round. There is a daily parking fee. 208-686-1308. Please note that the park is most directly accessed from Harrison by boat or an easy 7.5 mile bike ride on the cycle trail. If you drive, it's an hour and 10 minutes. If you see a rare bird in Idaho, please use the Rare Bird Report Form to document sightings of species on the Idaho Rare Bird Review List. Your written descriptions, photos, etc. of "review list" birds is greatly appreciated and helps to build a strong foundation for accurately understanding the status and distribution of all species in Idaho. 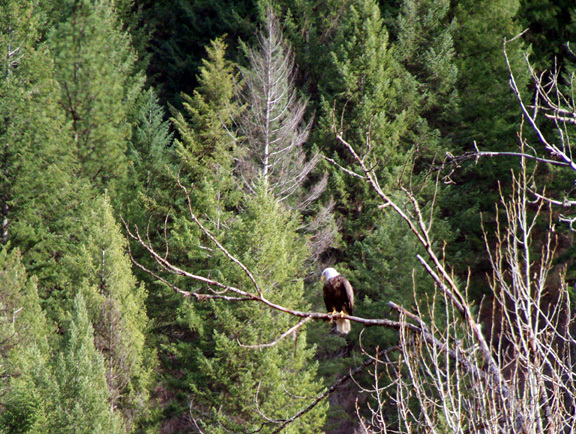 An Eagle near Harrison, Idaho. Photo by Estar Holmes. The 135-page Idaho Birding Trail Guidebook highlights birding sites within 4 regions of Idaho. The colorful, spiral-bound guide features maps, detailed site descriptions and color photos throughout. Each site description includes directions, access information, focal species, and habitat listings, as well as on-site visitor amenities. 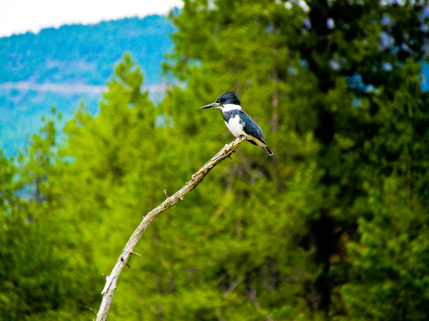 "Blue Ribbon" sites highlight the best of the best birding in Idaho. The guidebook is available for $5 at any Idaho Department of Fish and Game office or online (via Keokee Books). See also Idahobirds.net and this online resource that provides an overview and links to the Idaho birding scene.